ON SALE NOW! SAVE OVER $4,600.00 - WAS $24,595 NOW ONLY $19,995!!! Remodeled in 2017 with New Paint and New Decals, New Power Awing, New Tires, 6 way Hydraulic Leveling System ($2,000.00 value) 5.5 Generator upgrade, MorRyde pin box 5th wheel hitch, Has upgraded 32 in LCD TV and 50 in HD LCD TV, Auto Seek Satellite System, TV Antenna Booster and much more! 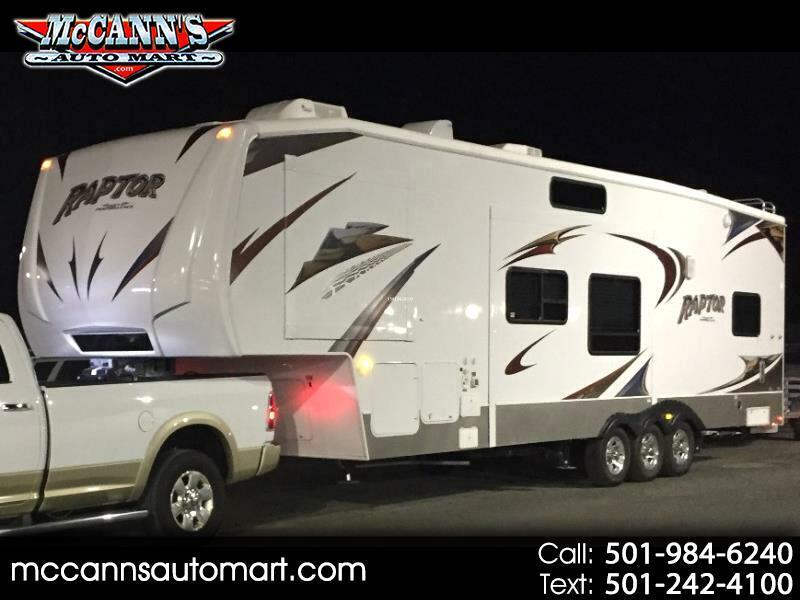 This Beautiful 5th wheel toy hauler sleeps 7 very comfortably but can sleep up to 10 people! This is a Must See and a Great Deal at $19,995!!! Message: Thought you might be interested in this 2008 Keystone RV Raptor Toy Hauler.